This autumn Tate Modern will present the UK’s first major retrospective of the work of Anni Albers (1899-1994). This exhibition will bring together her most important works from major collections in the US and Europe, many of which will be shown in the UK for the first time, to highlight Albers’s significance as an artist. Opening ahead of the centenary of the Bauhaus in 2019, this exhibition is long overdue recognition of Albers’s pivotal contribution to modern art and design, and part of Tate Modern’s wider commitment to showing artists working in textiles. 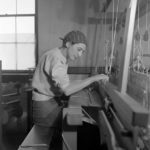 Anni Albers combined the ancient craft of hand-weaving with the language of modern art, finding within the medium many possibilities for the expression of modern life. 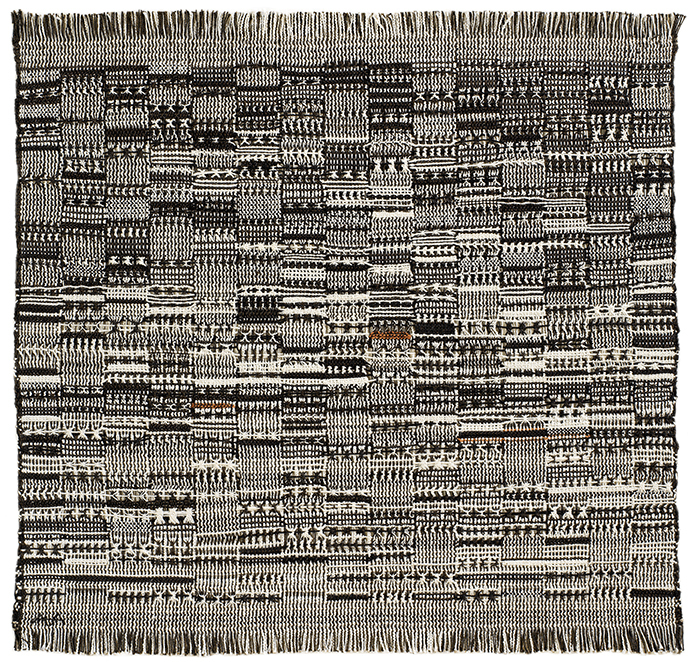 Featuring over 350 objects including beautiful small-scale studies, large wall-hangings, jewellery made from everyday items, and textiles designed for mass production, this exhibition will explore the many aspects of Albers’s practice – such as the intersection between art and craft; hand-weaving and machine production; ancient and modern. Albers held a long-standing interest in the relationship between textiles and architecture and the show will highlight her lesser-known commissioned works in this area. The exhibition design will take inspiration from the artist’s own writings, such as her seminal essay ‘The Pliable Plane: Textiles in Architecture’, 1957, in which Albers advocates ‘a new understanding between the architect and the inventive weaver’. Born in Berlin at the turn of the century, Annelise Else Frieda Fleischmann became a student at the Bauhaus in 1922, where she met her husband Josef Albers and other key modernist figures like Wassily Kandinsky and Paul Klee. Though the Bauhaus aspired to equality between the sexes, women were still discouraged from learning certain disciplines including painting. 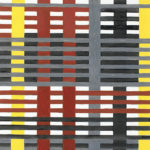 Albers began weaving by default, but it was in textiles that she found her means of expression, dedicating herself to the medium for the majority of her career. The exhibition will explore how, here in the school’s vibrant weaving workshop, traditional hand-weaving was redefined as modern art. With the rise of Nazism and the closure of the Bauhaus, Albers left Germany in 1933 for the USA where she taught at the experimental Black Mountain College for over 15 years. From this time on she made frequent visits to Mexico, Chile and Peru, collecting artefacts and immersing herself in an ancient culture that profoundly influenced her career. The show will examine her incredible body of woven works of art known as ‘pictorial weavings’, inspired by her many visits to Central and South America, including significant large-scale pieces such as Ancient Writing 1936 and With Verticals 1946. Visitors will gain insight into Albers’s creative methods, showing how she unpicked items from her own collection of Andean textiles to determine the structure of the fabric. In addition to her own work, the exhibition will include examples of textiles from around the world that fuelled her thinking and making process. 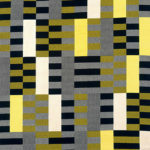 In the 1950s Albers moved to New Haven in Connecticut following her husband’s appointment to the Department of Design at Yale University. The exhibition will explore the seminal texts she published during this time – ‘On Designing’ 1959 and ‘On Weaving’ 1965 – in which she reflects on the history of weaving as a global phenomenon, dating back thousands of years yet typically modern. In both her work and her writing, she presents a vastly expanded geography of modern art, drawing on sources from Africa, Asia and the Americas. In her later years Albers also took up printmaking, translating her ideas into two-dimensional form. 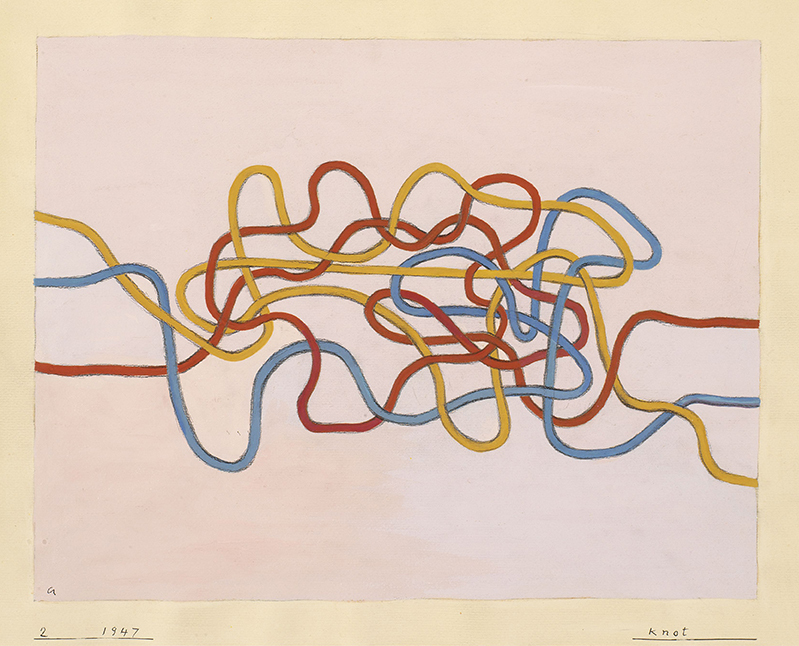 Featuring a range of remarkable loans from The Josef & Anni Albers Foundation, the show will include many of these ground-breaking late works, revealing her constant development as a highly original abstract artist whose enduring influence inspires new generations of artists and designers around the world. Anni Albers is organised by Tate Modern and Stiftung Kunstsammlung Nordrhein-Westfalen, Düsseldorf. It is curated by Ann Coxon, Curator, International Art, Tate Modern, Professor Briony Fer, University College London with Maria Müller-Schareck, Curator, Stiftung Kunstsammlung Nordrhein-Westfalen assisted by Priyesh Mistry, Assistant Curator, International Art, Tate Modern and Linda Walther, Assistant Curator, Stiftung Kunstsammlung Nordrhein-Westfalen. 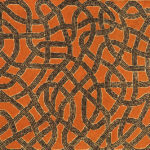 The show will be accompanied by an exhibition catalogue featuring new research on Albers’ work. Visitors are invited to view textile works by other artists including Lenore Tawney, Olga de Amaral and Sheila Hicks as part of Tate Modern’s free collection display Beyond Craft on view in the Boiler House until December 2018. Supported by the Terra Foundation for American Art, with additional support from the Anni Albers Exhibition Supporters Circle and Tate Patrons. Images where not captioned are photographed by Tim Nighswander/Imaging4Art. Photo: Helen M. Post, Western Regional Archives, State Archives of North Carolina. This entry was posted on Saturday, September 15th, 2018 at 8:00 am	and is filed under Events, Exhibitions, General, News, Publication. You can follow any comments to this entry through the RSS 2.0 feed. You can leave a comment, or trackback.